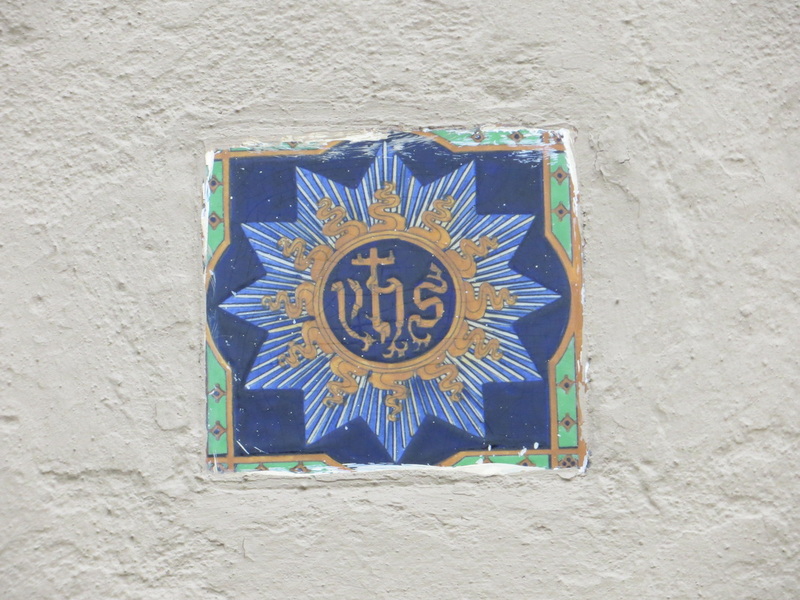 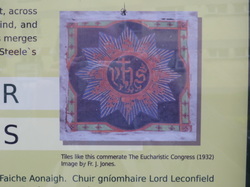 The Historic Town Visitor Information boards in Ennis include a photograph of one of the tiles and states that there were made to commemorate the Eucharistic Congress in 1932. 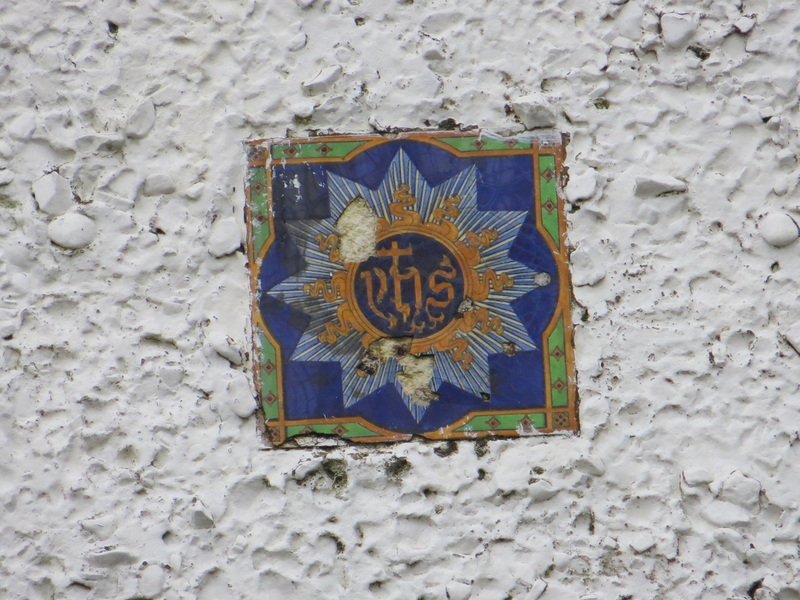 However, in January 2014 I read an article in the Irish Independent which stated that The Poor Clares had come across research to indicate that the tiles were introduced earlier than that. 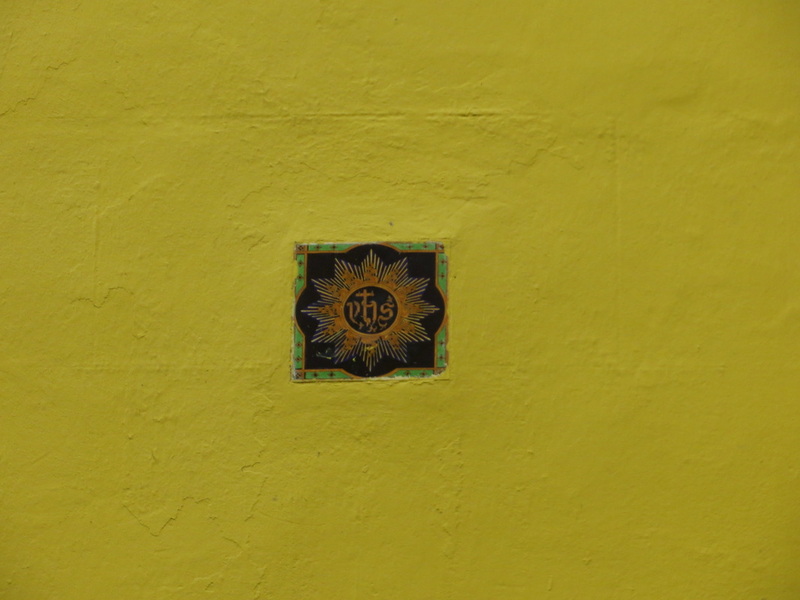 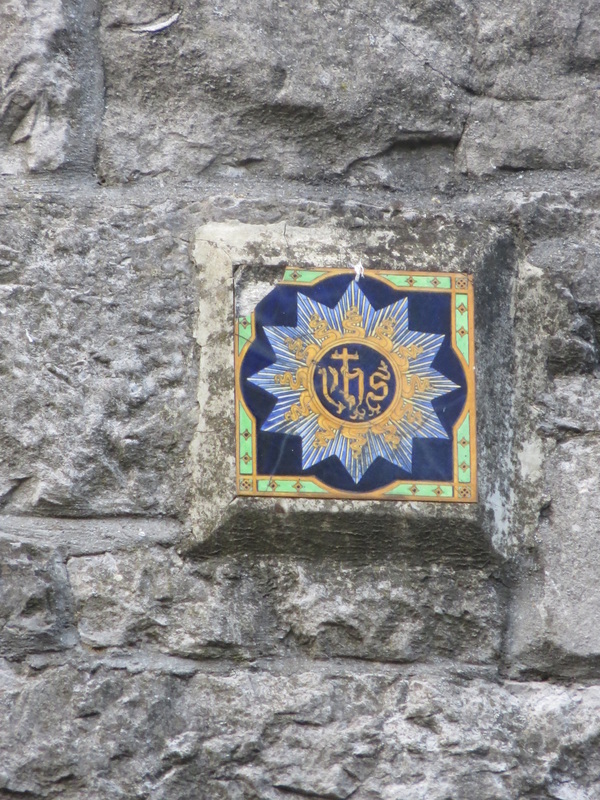 I have photographed 67 tiles in Ennis. 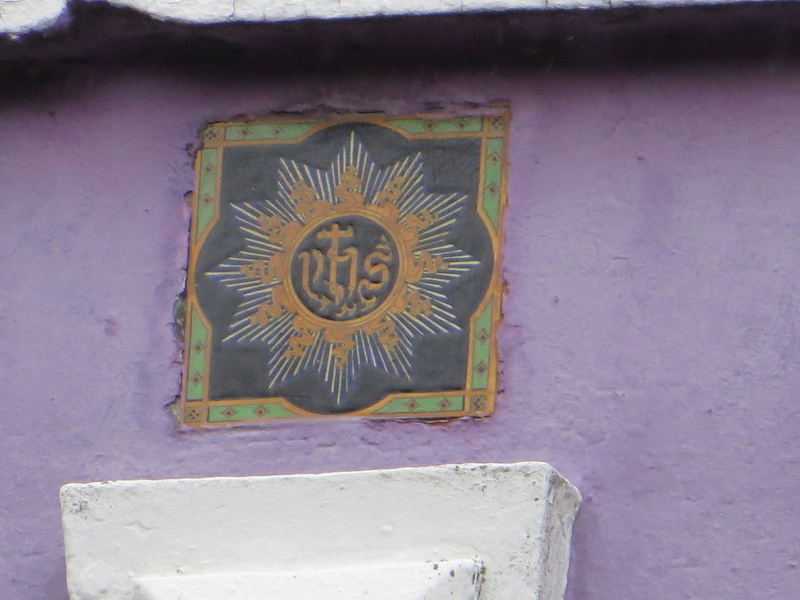 So far on the website, I have details of the tiles in Athlone; Co. Clare; Ennis; Cork; Dublin; Limerick; Co. 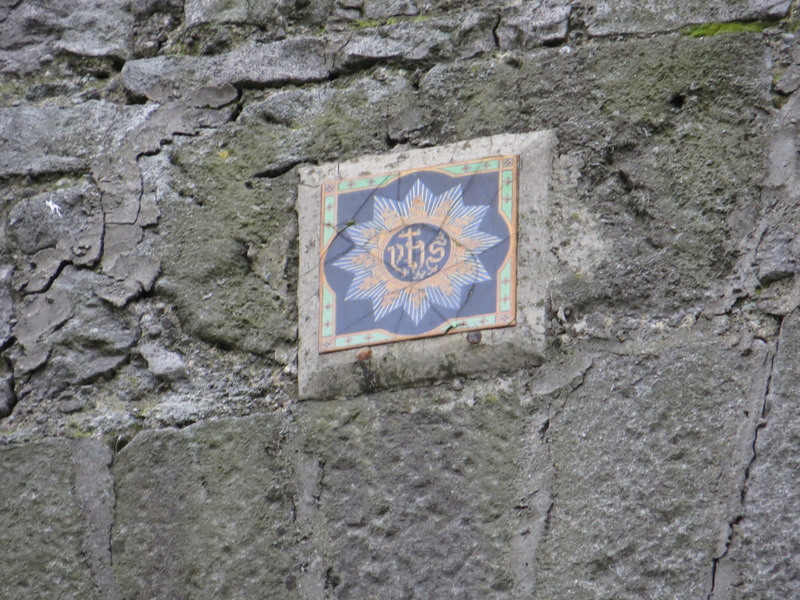 Limerick; Galway City; Co. Galway; and Co. Mayo. 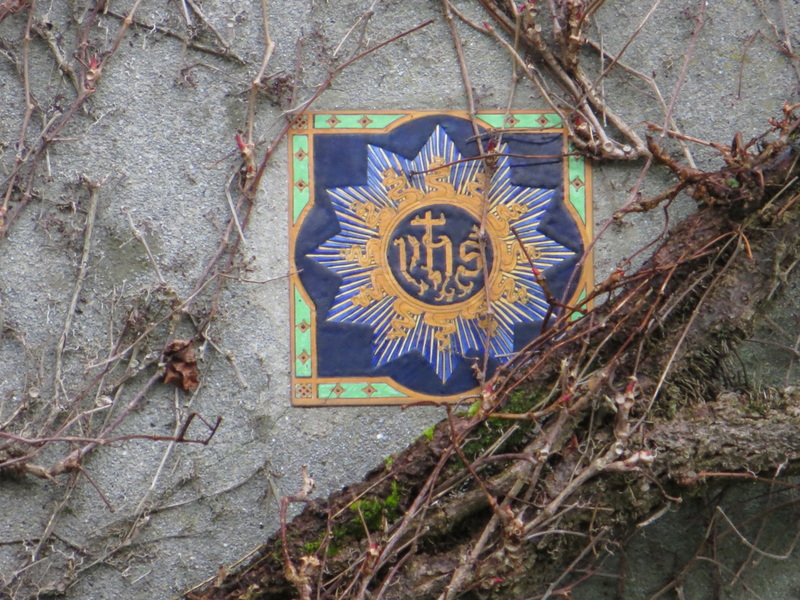 The sisters discovered that a wave of devotion to promote the holy name of Jesus began after a retreat to their monastery conducted by a Franciscan friar, Fr Francis Donnelly, in January 1914. 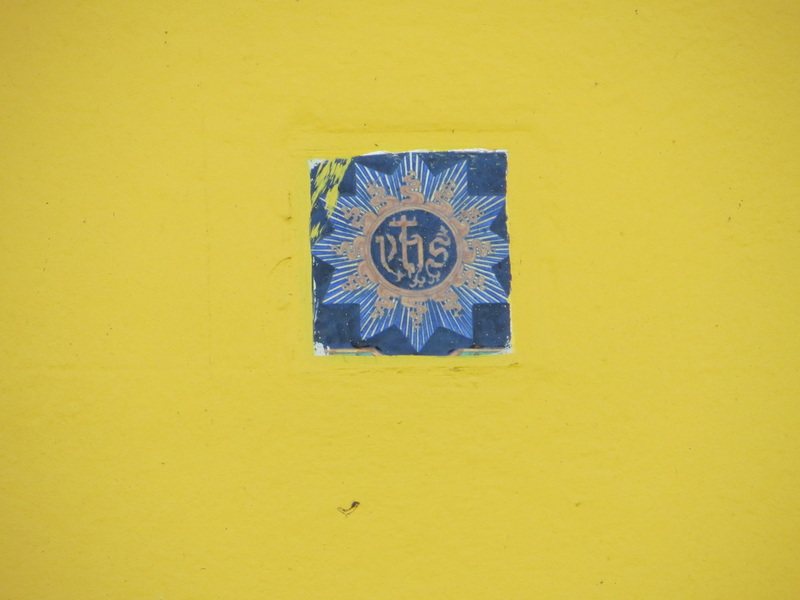 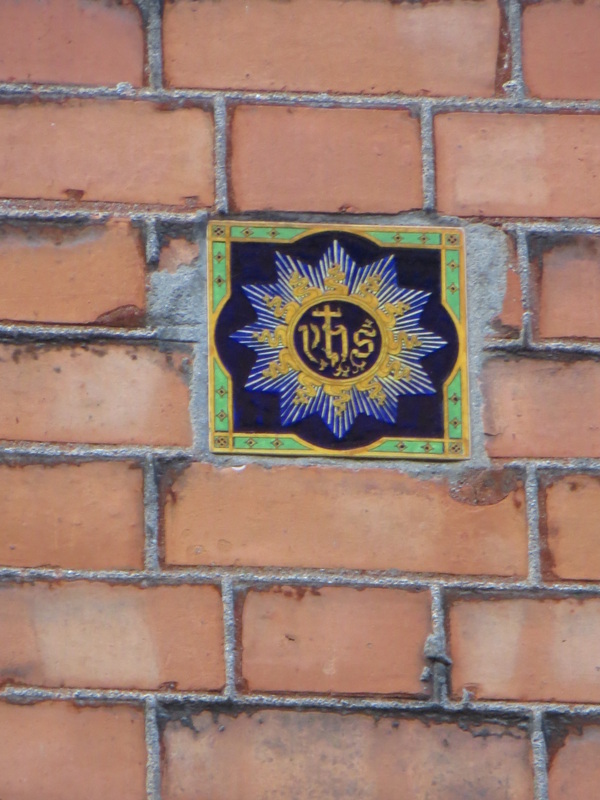 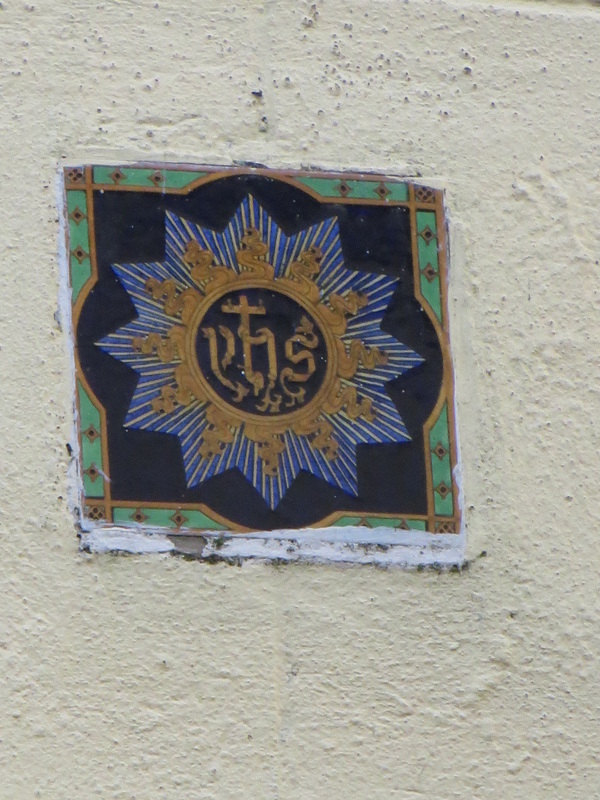 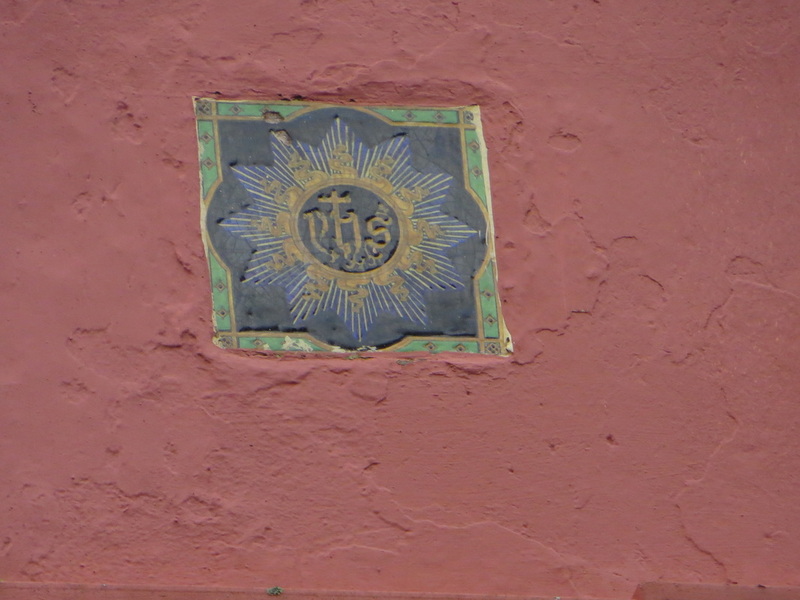 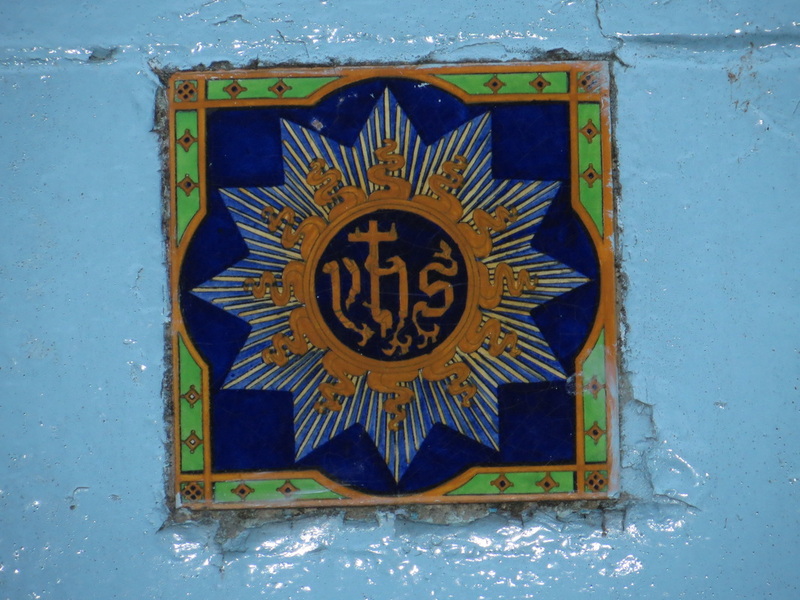 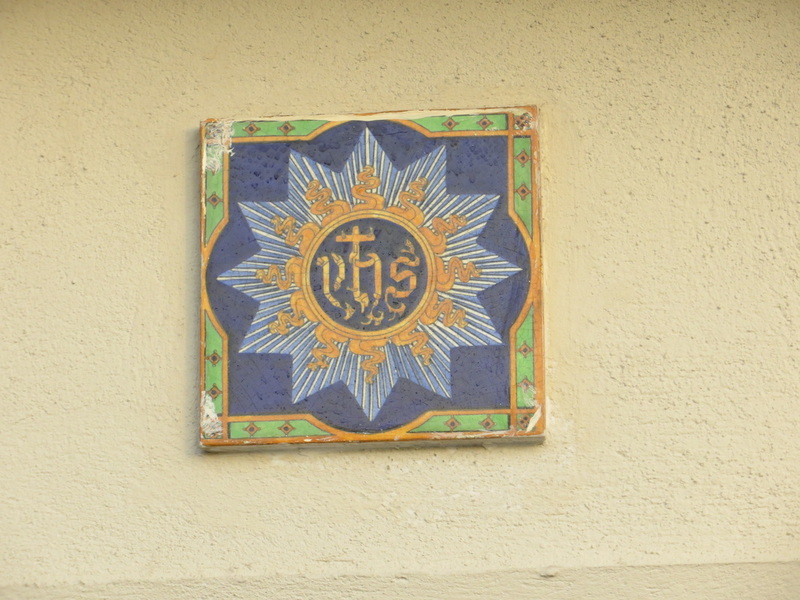 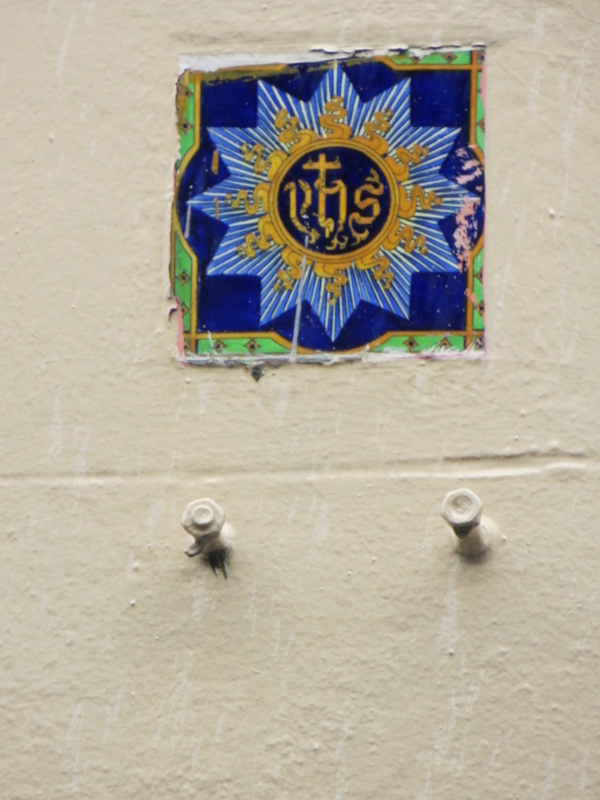 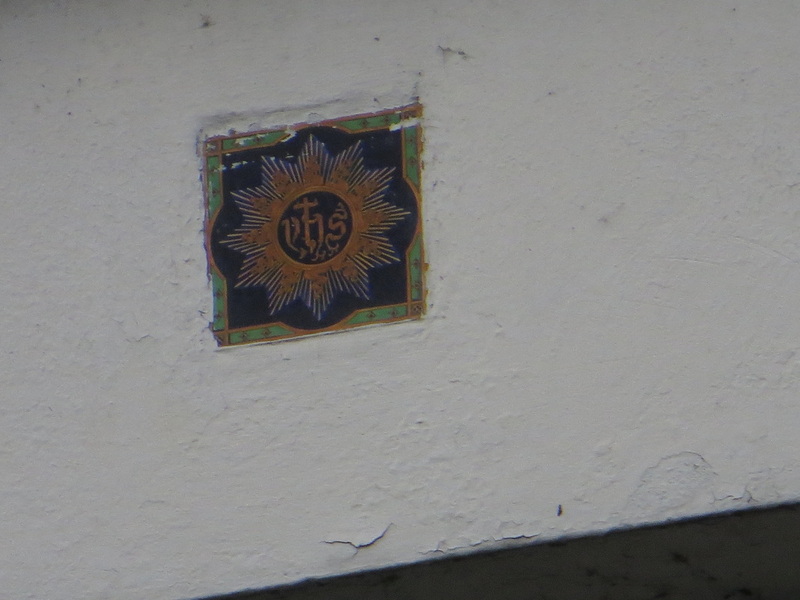 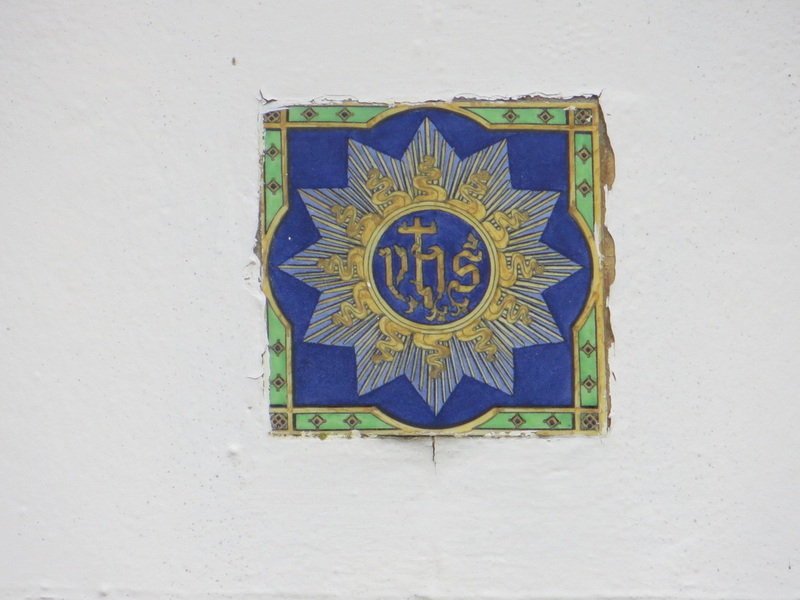 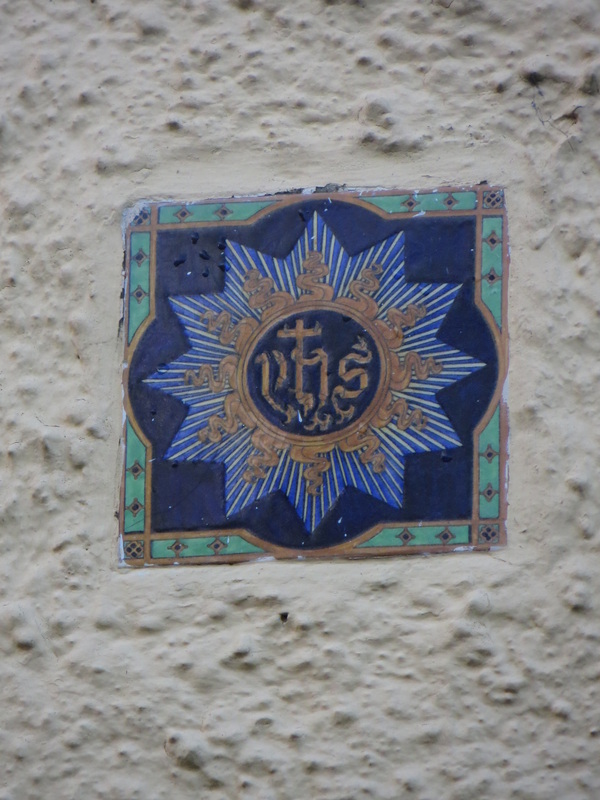 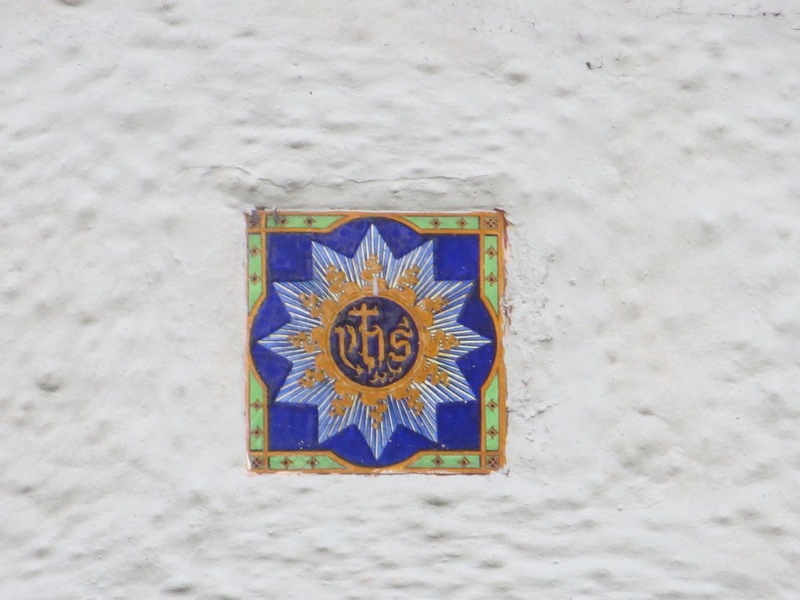 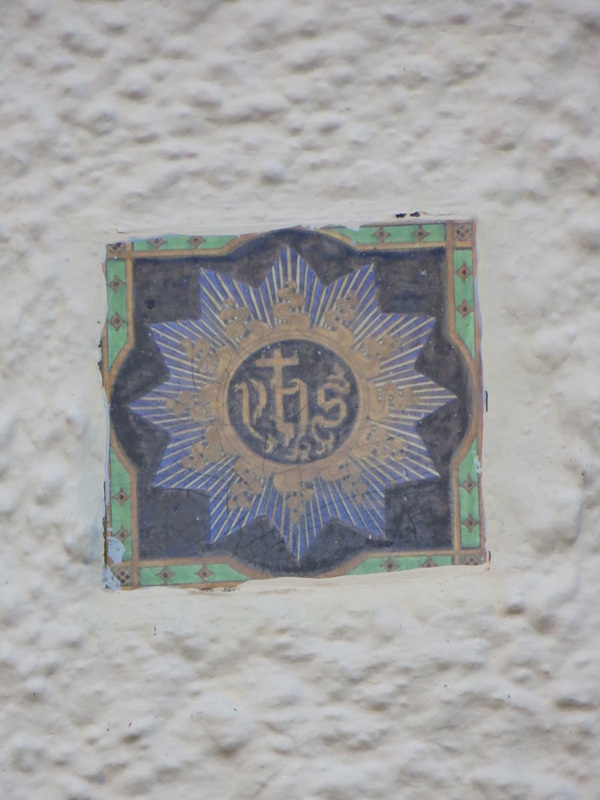 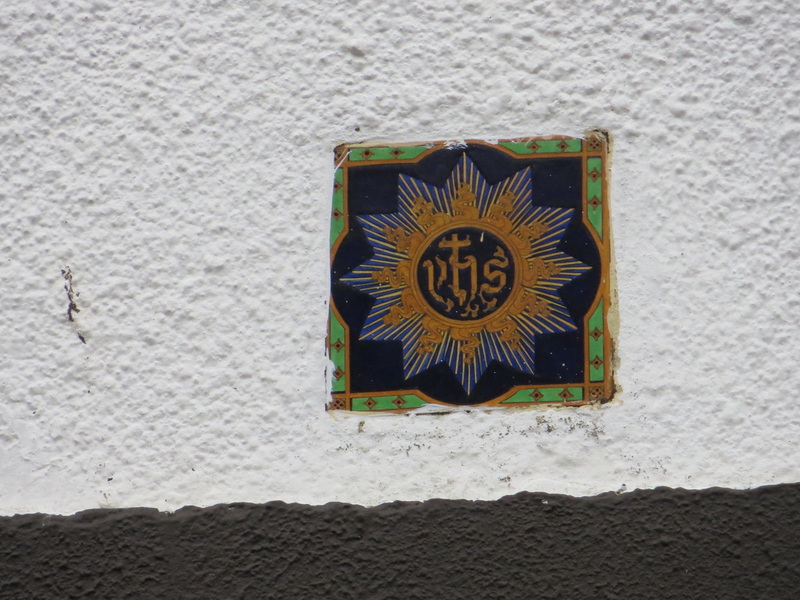 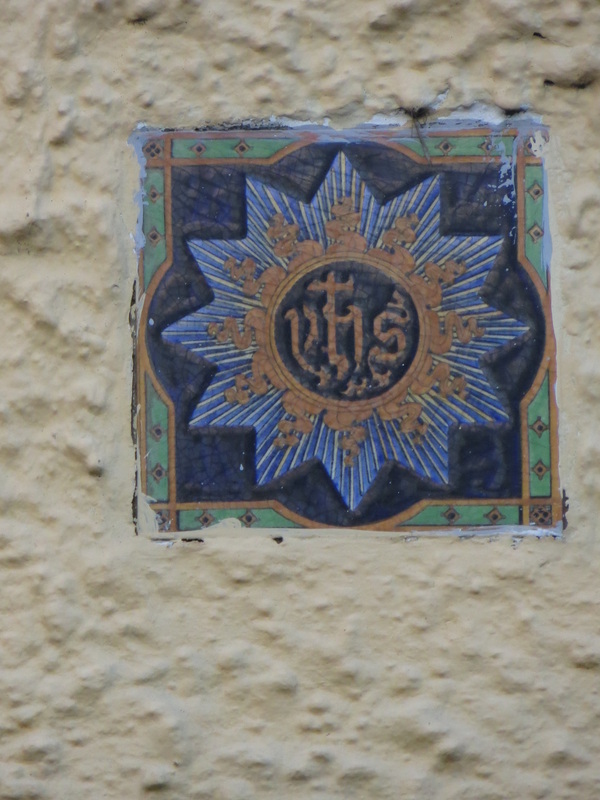 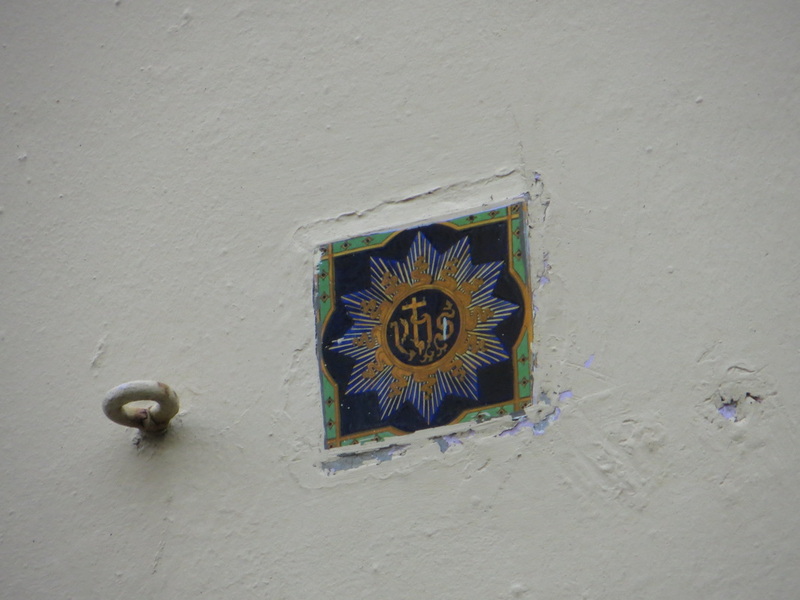 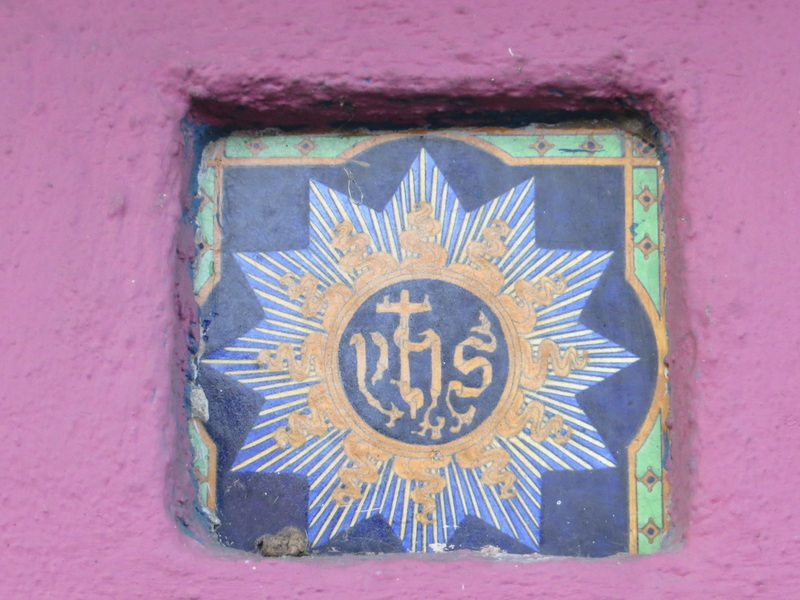 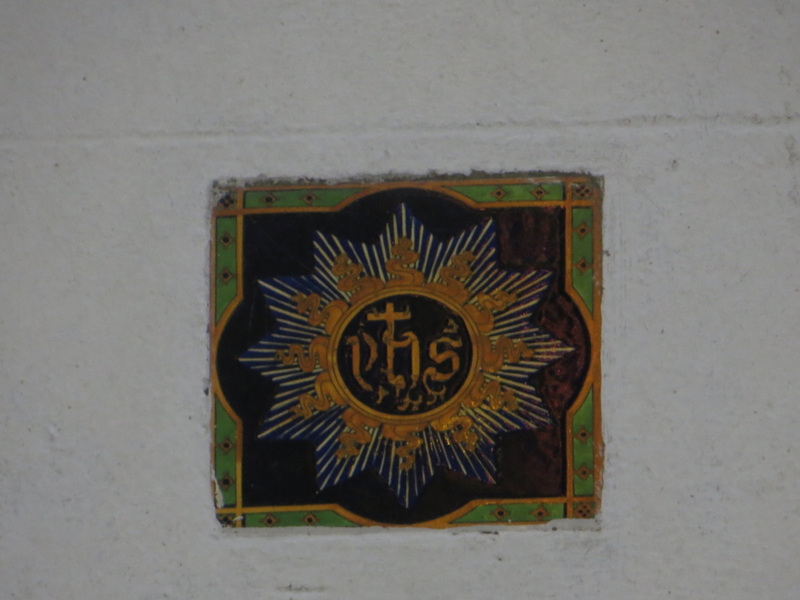 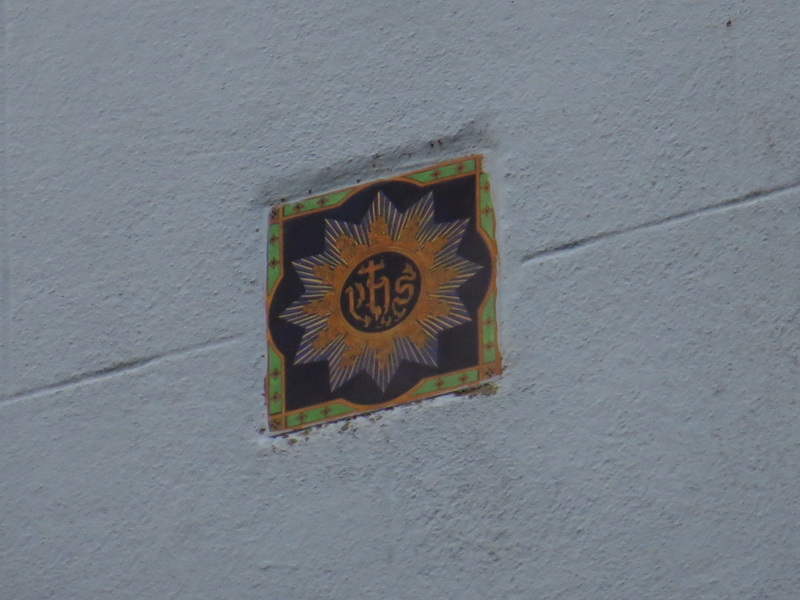 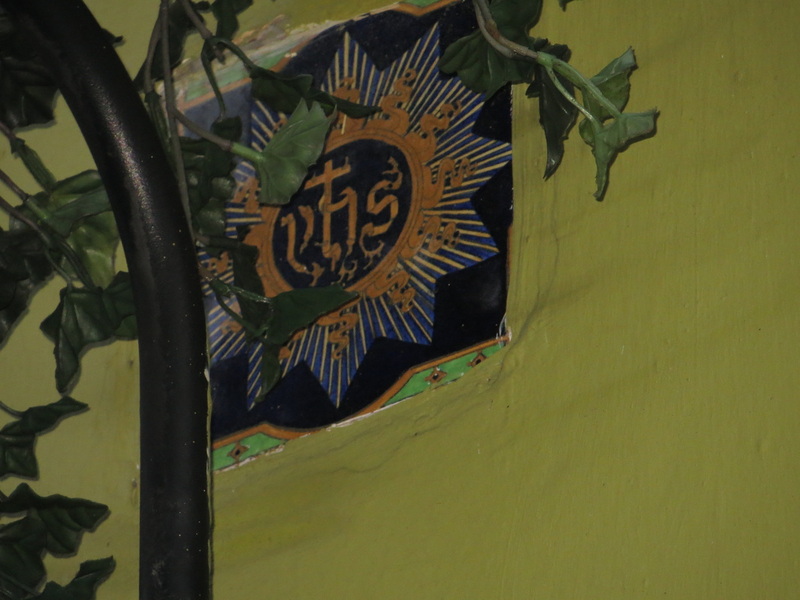 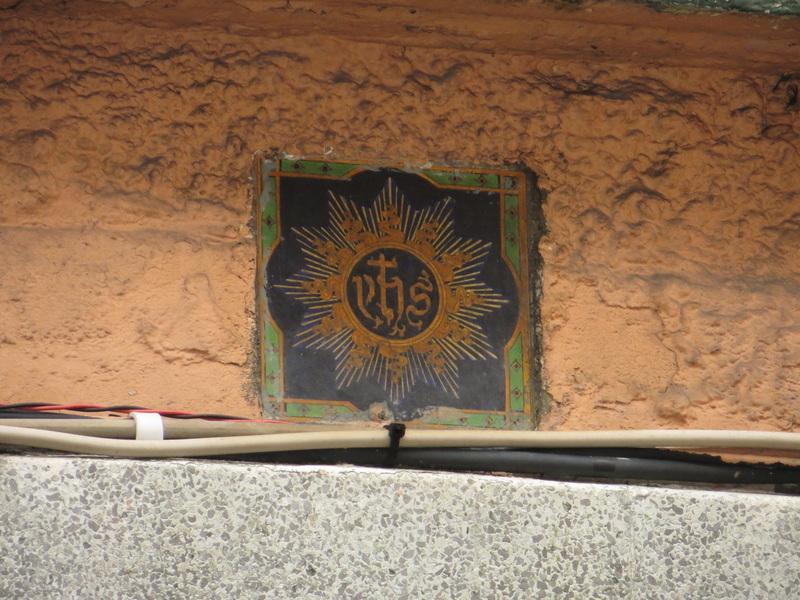 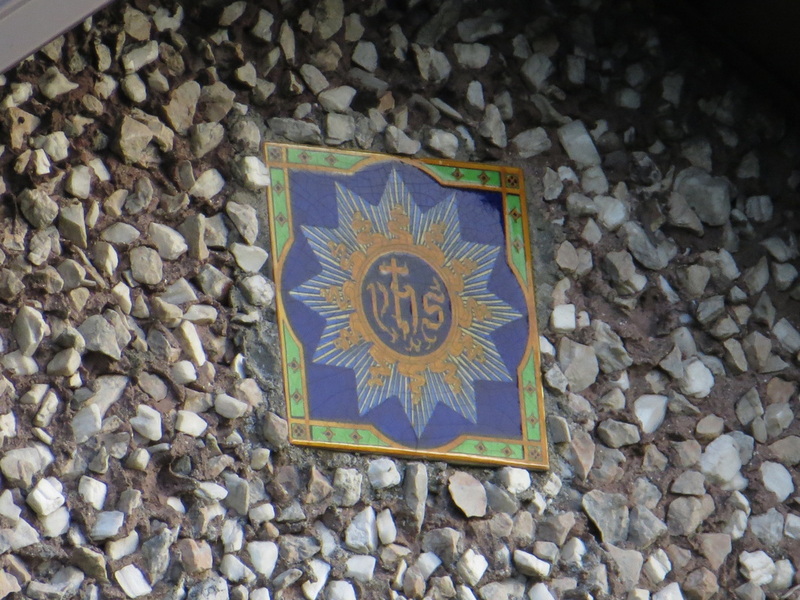 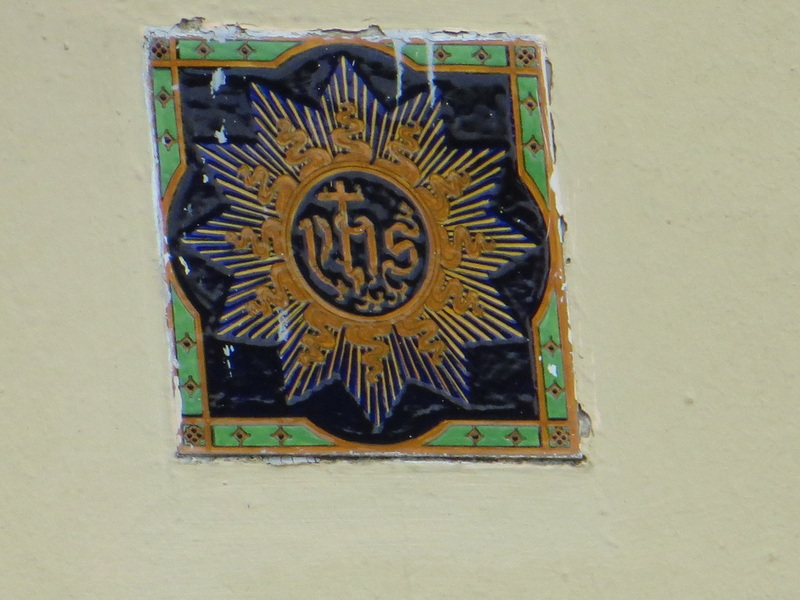 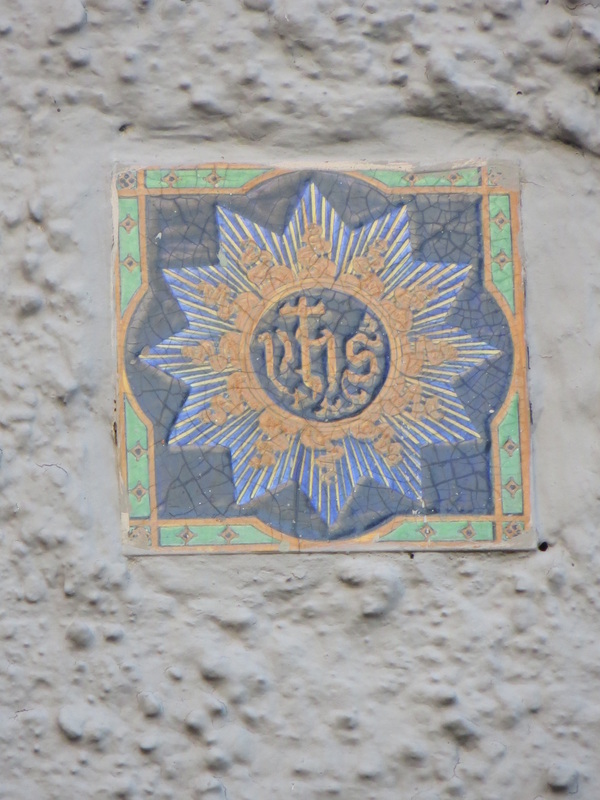 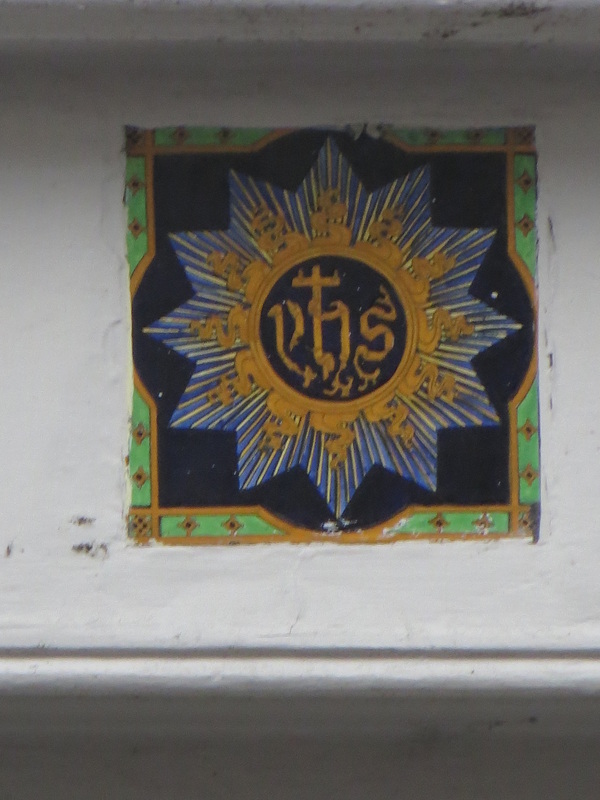 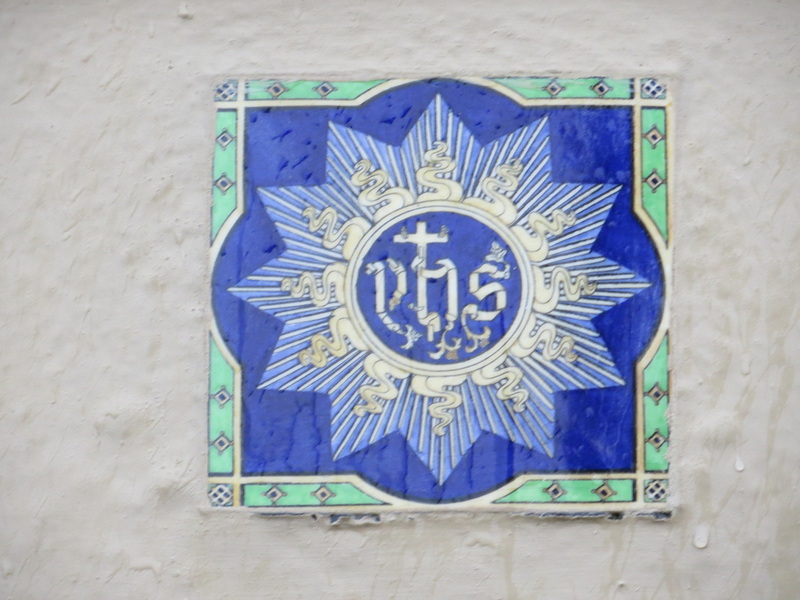 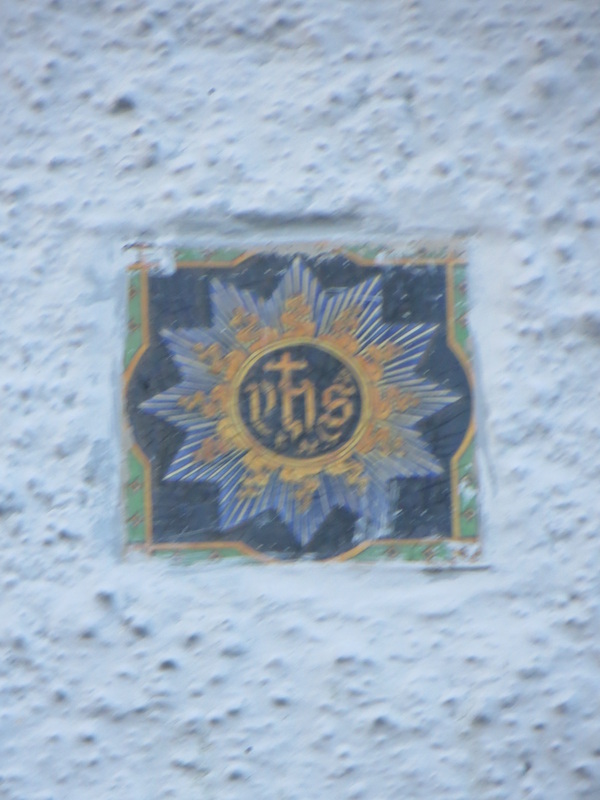 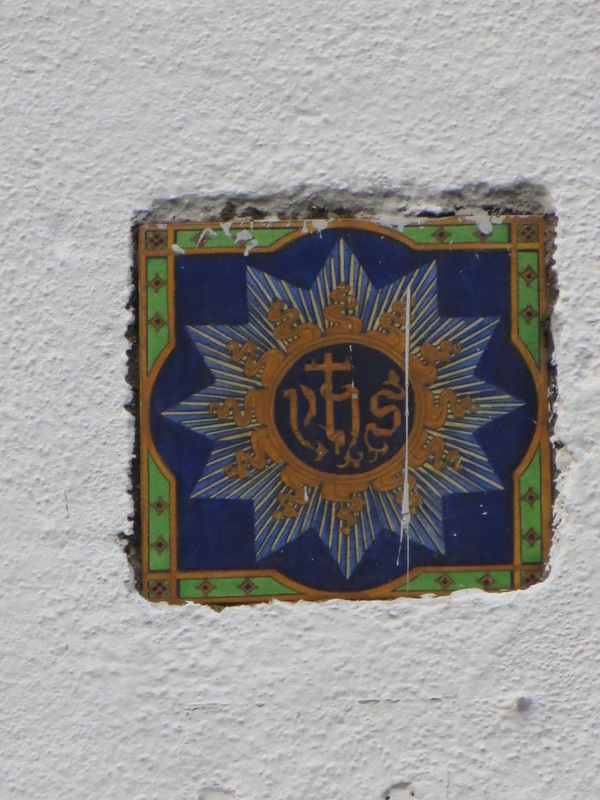 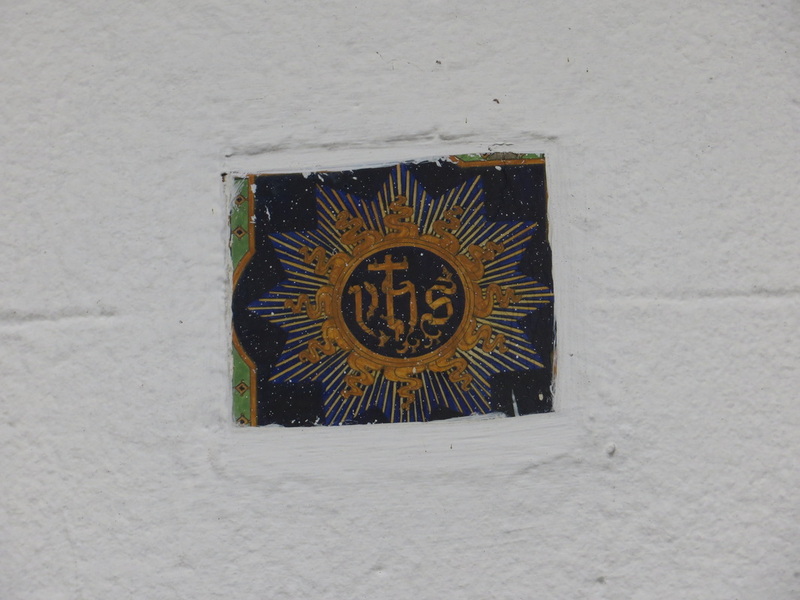 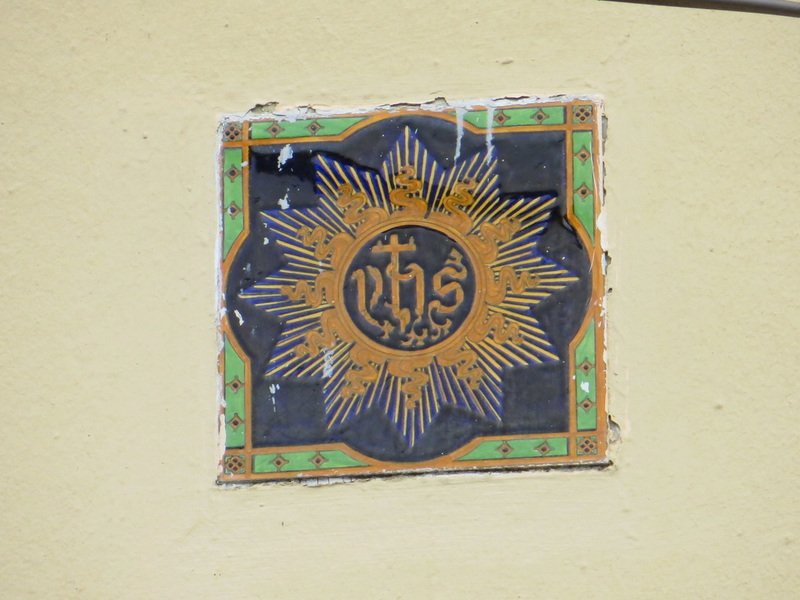 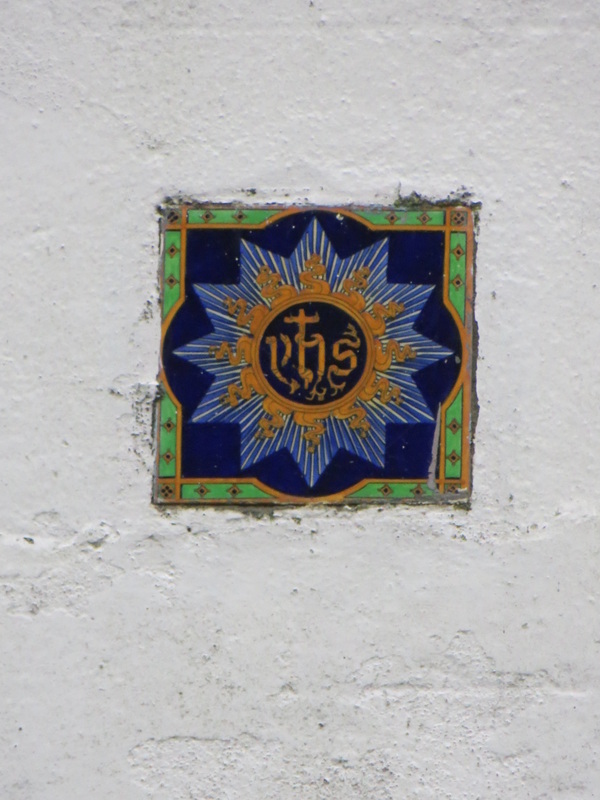 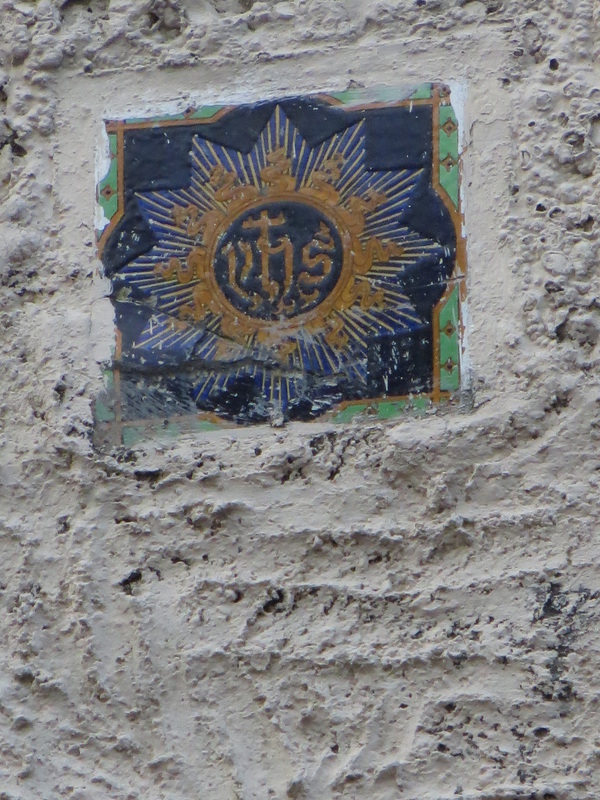 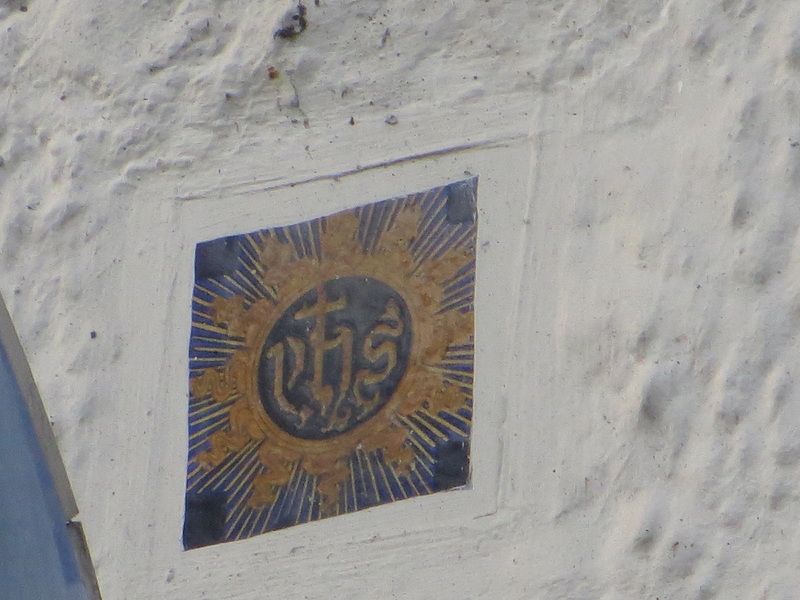 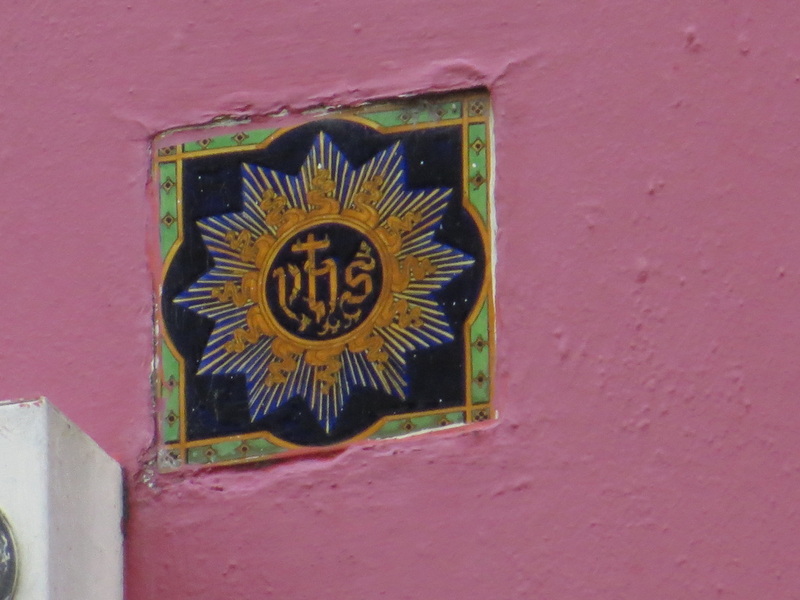 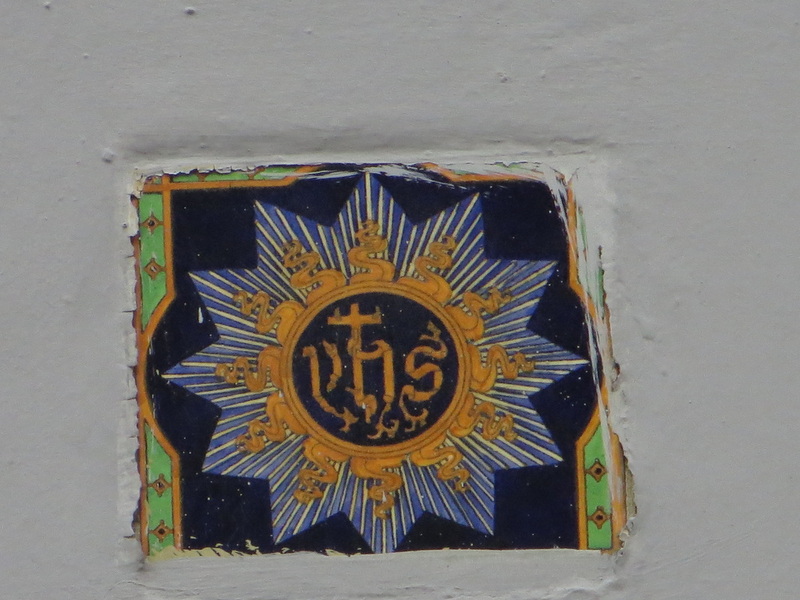 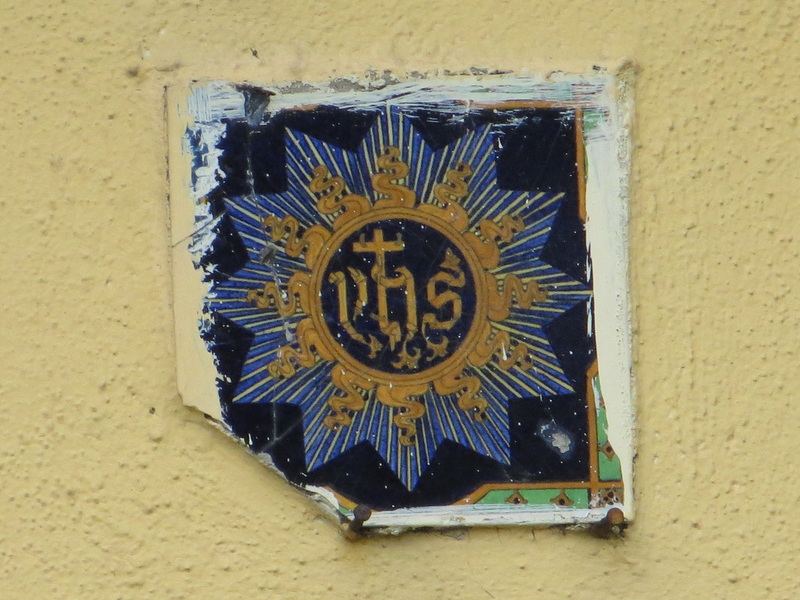 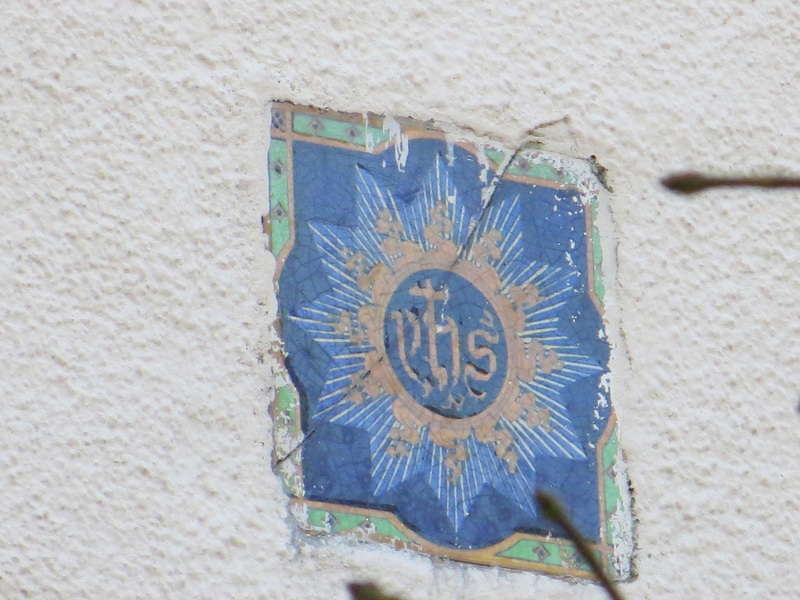 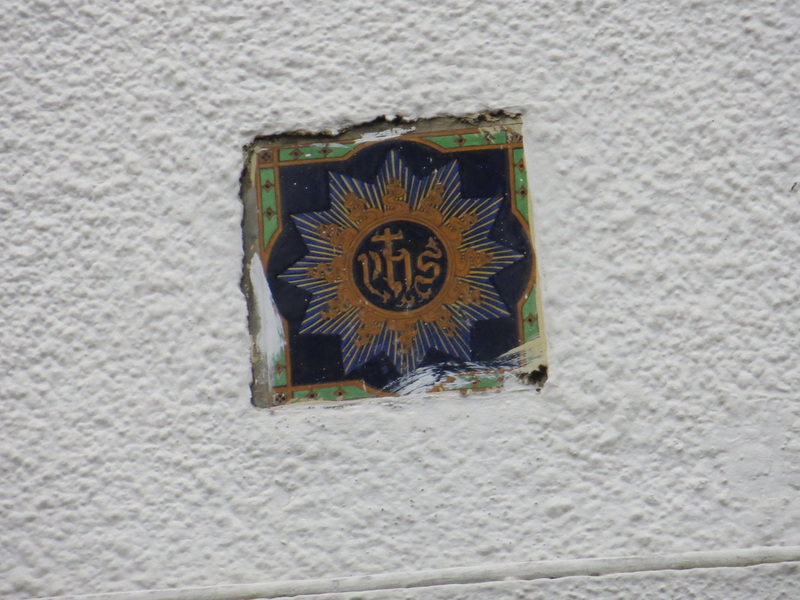 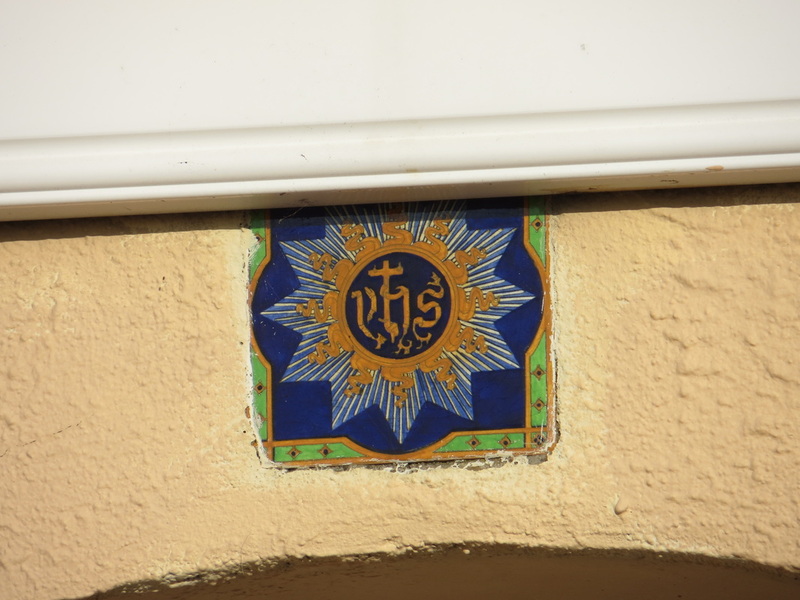 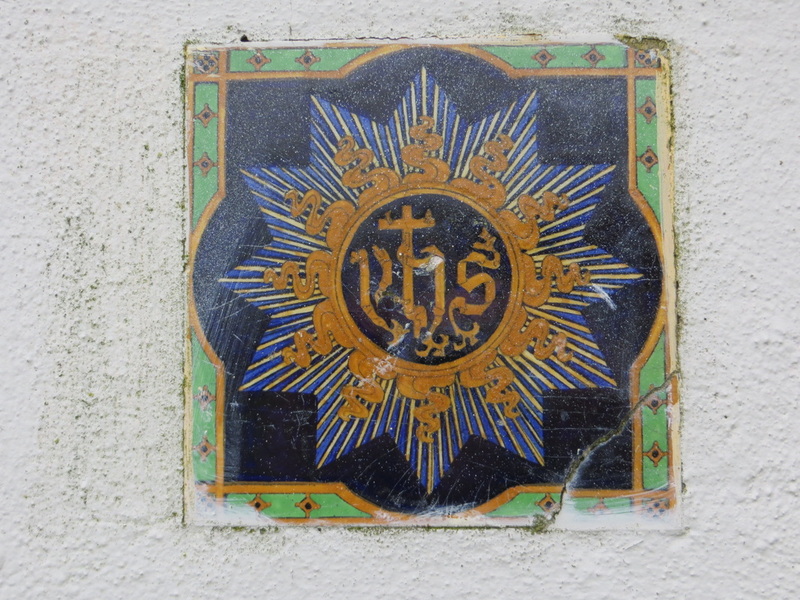 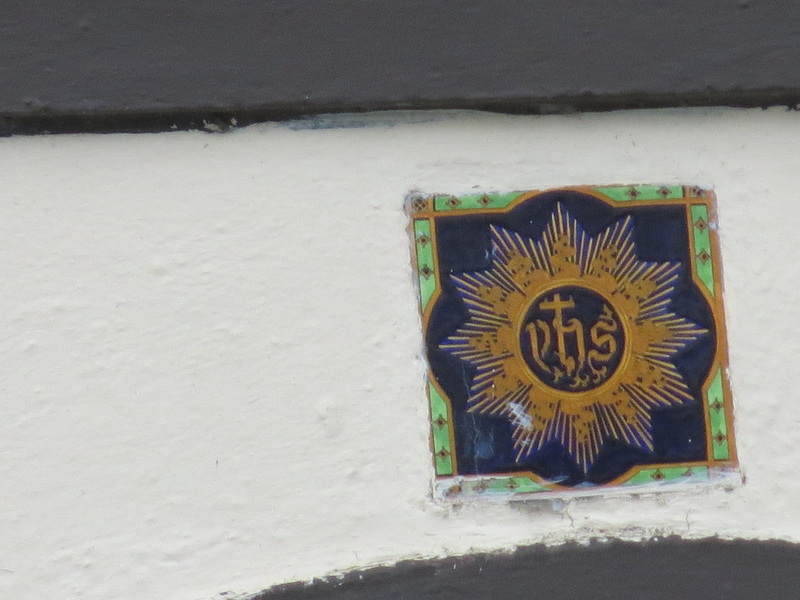 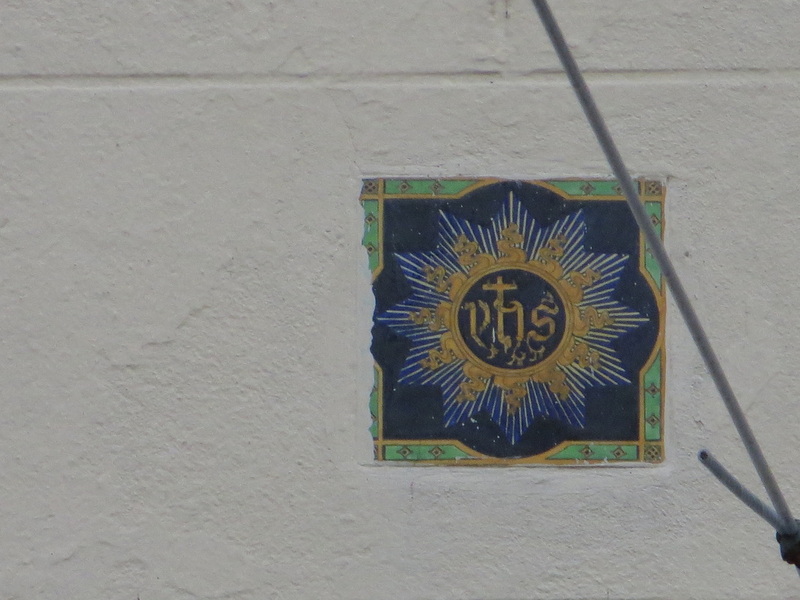 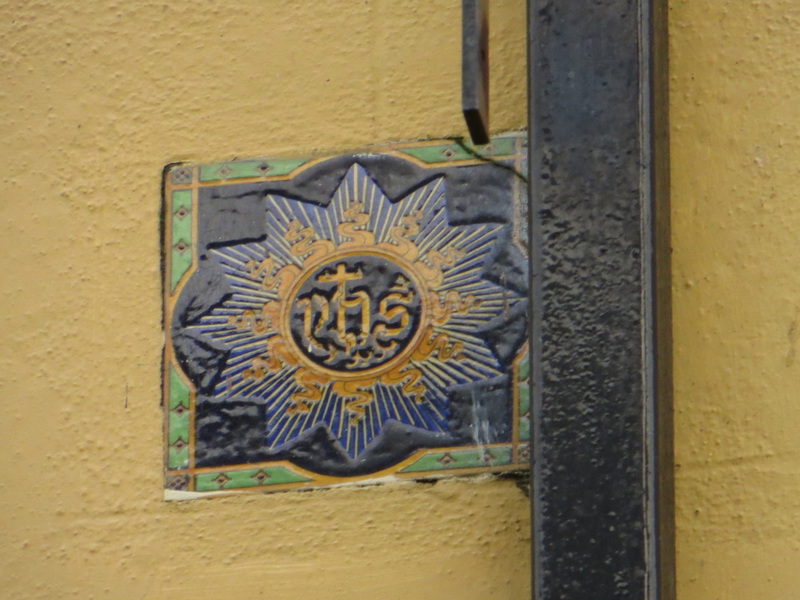 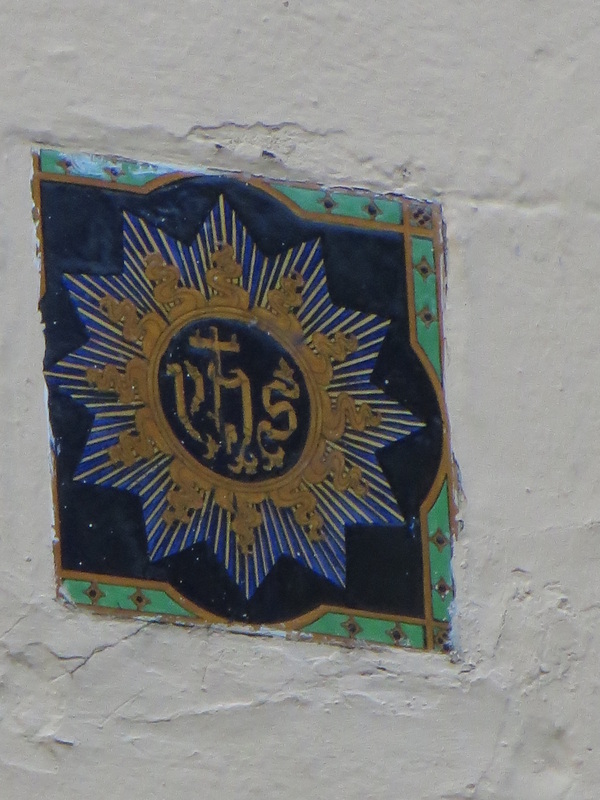 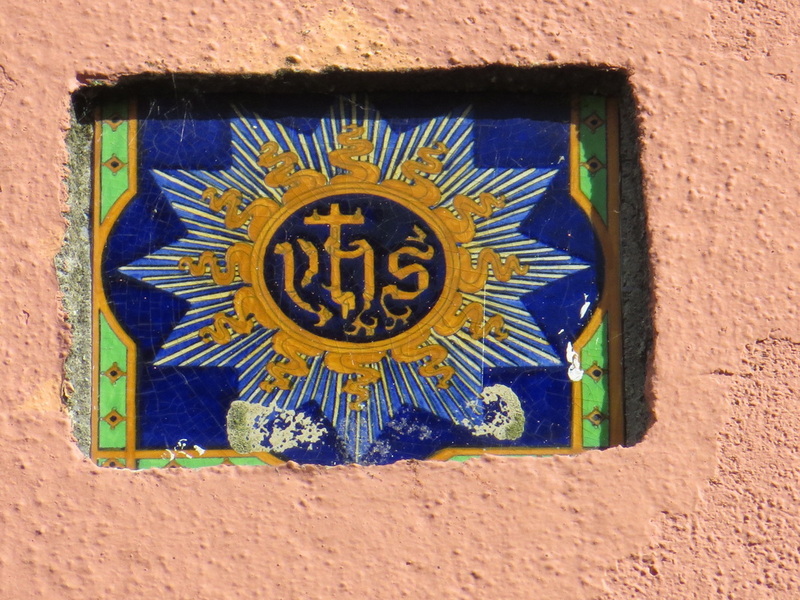 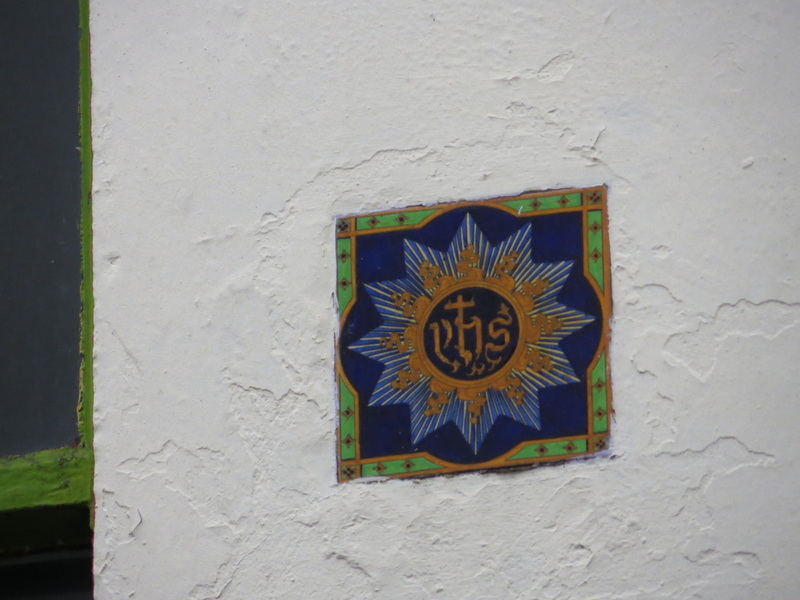 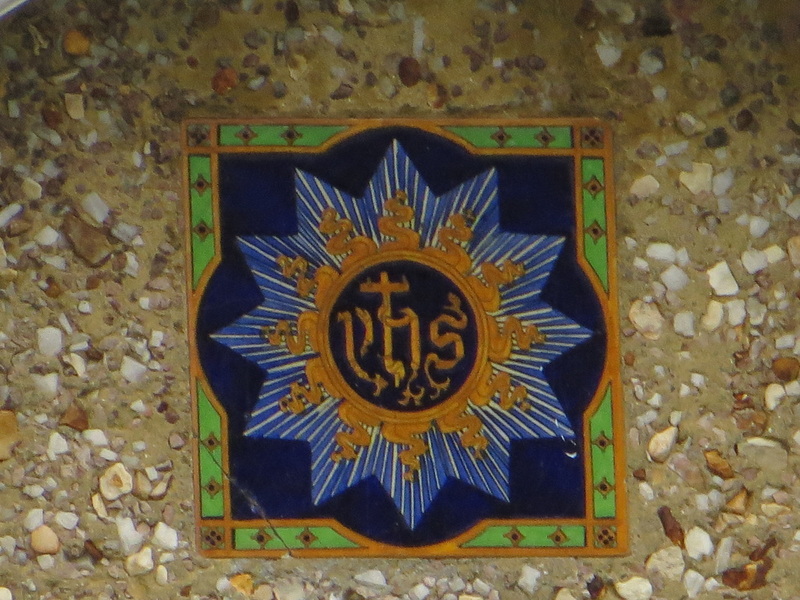 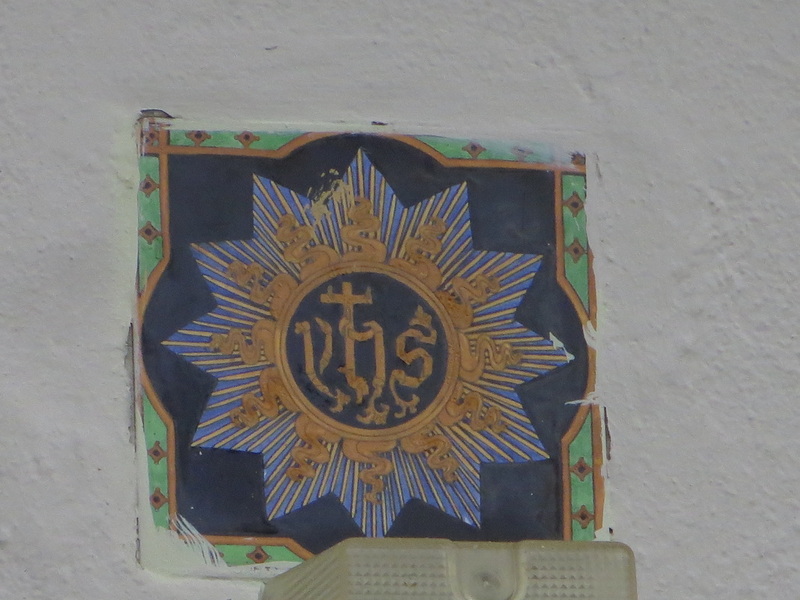 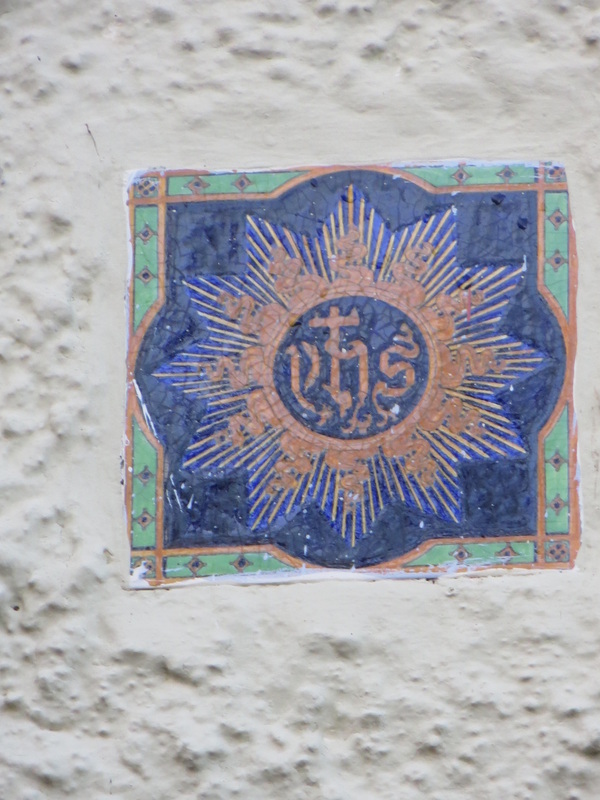 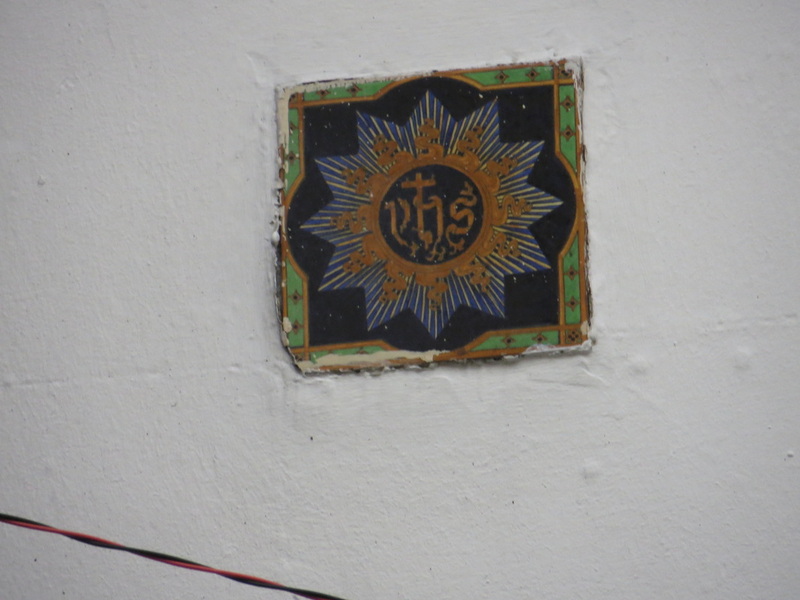 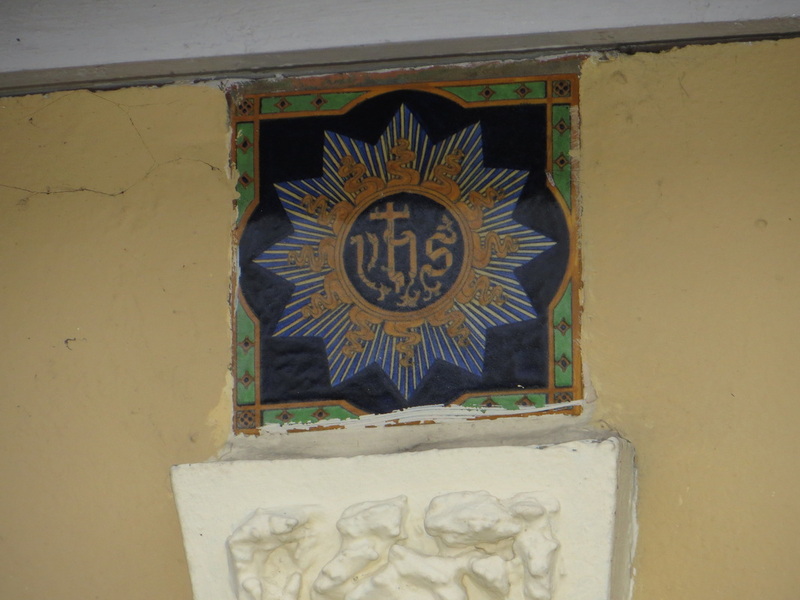 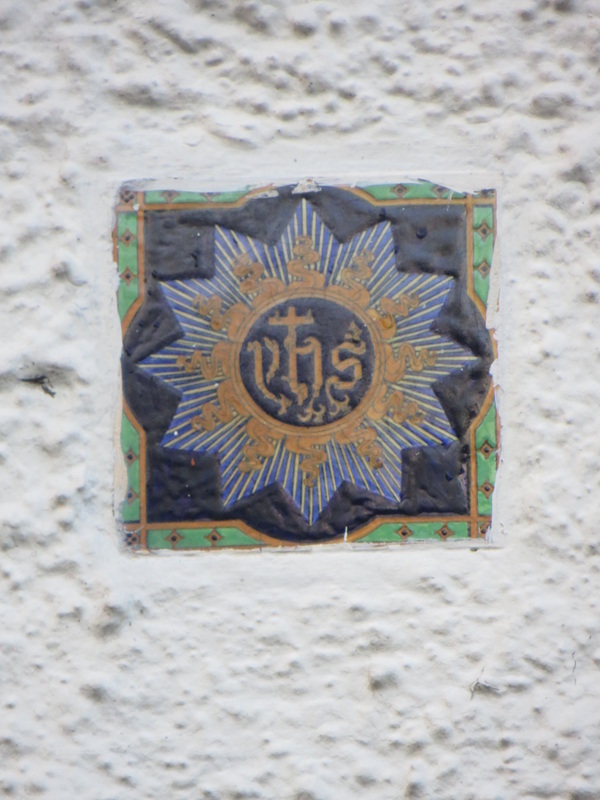 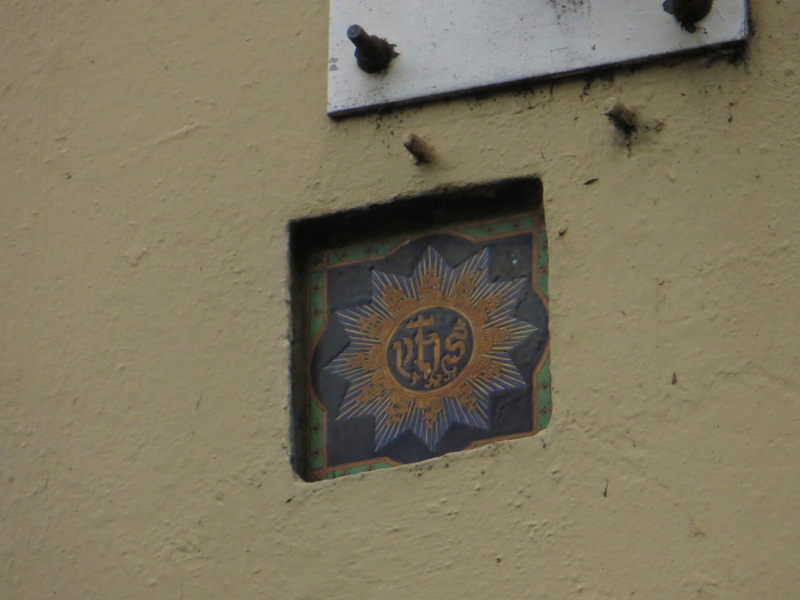 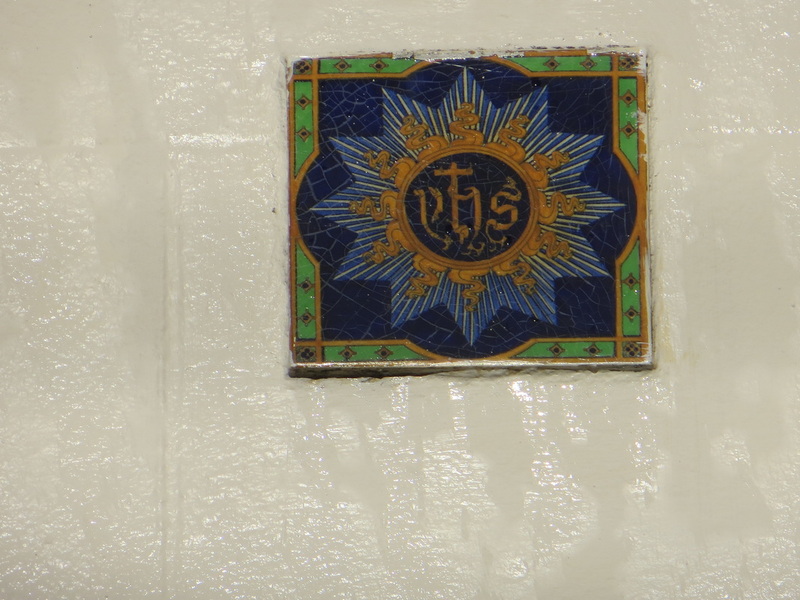 It was Fr Donnelly who introduced the blue YHS tiles, as they depict an abbreviation of the name of Jesus in Greek and they were placed above the doors of houses in order to invoke God's blessings ." 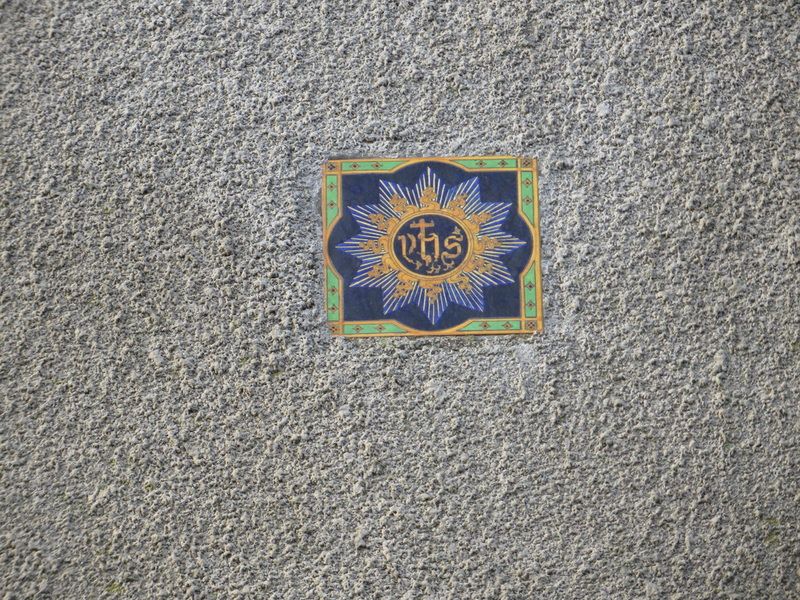 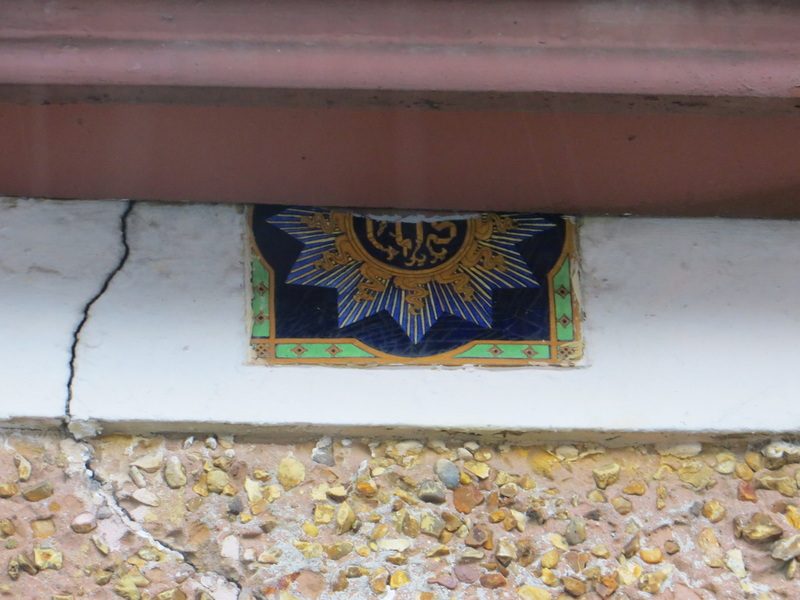 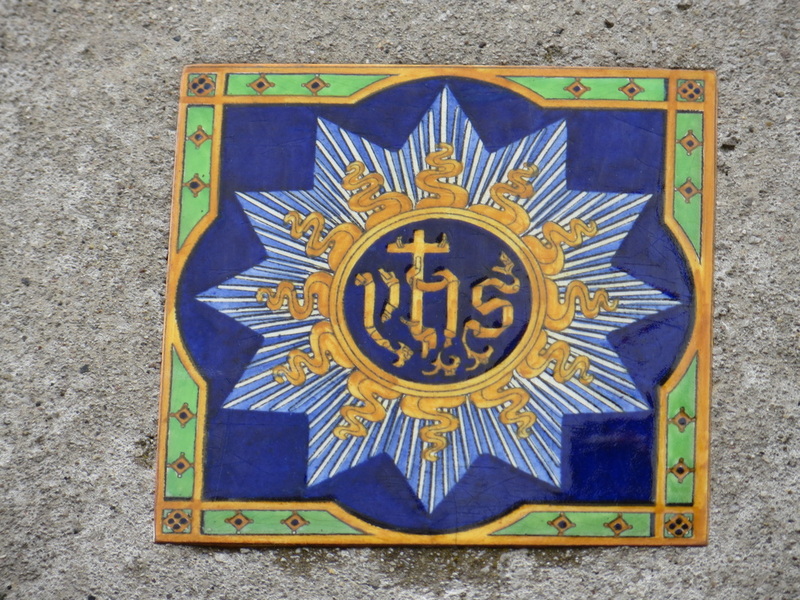 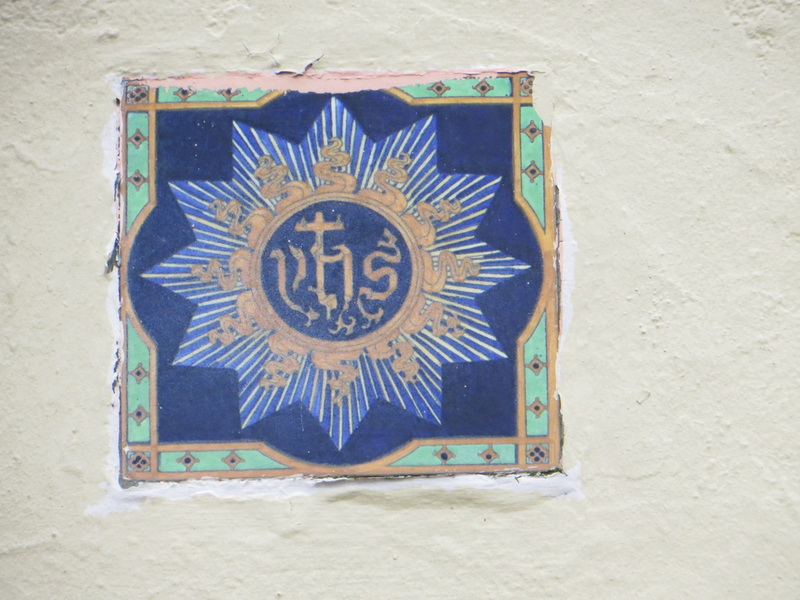 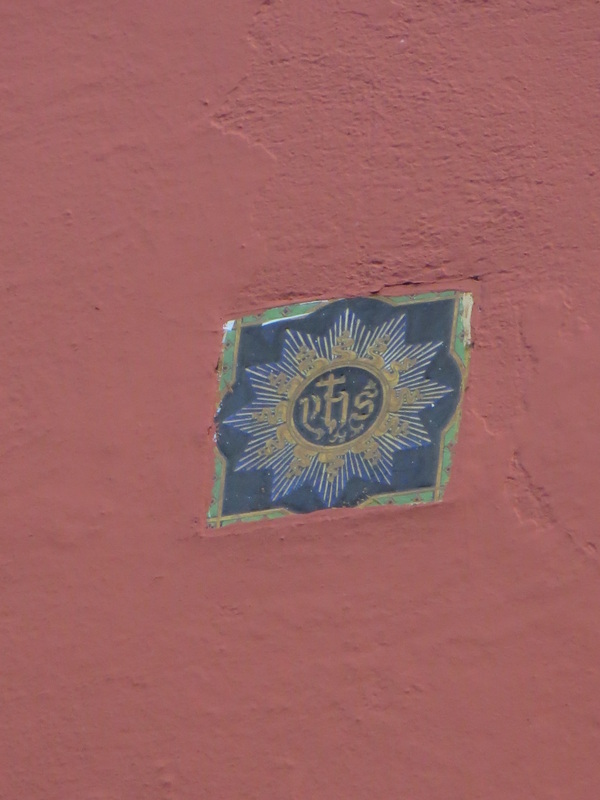 The Holyname.ie website is seeking stories and anecdotes regarding the tiles.